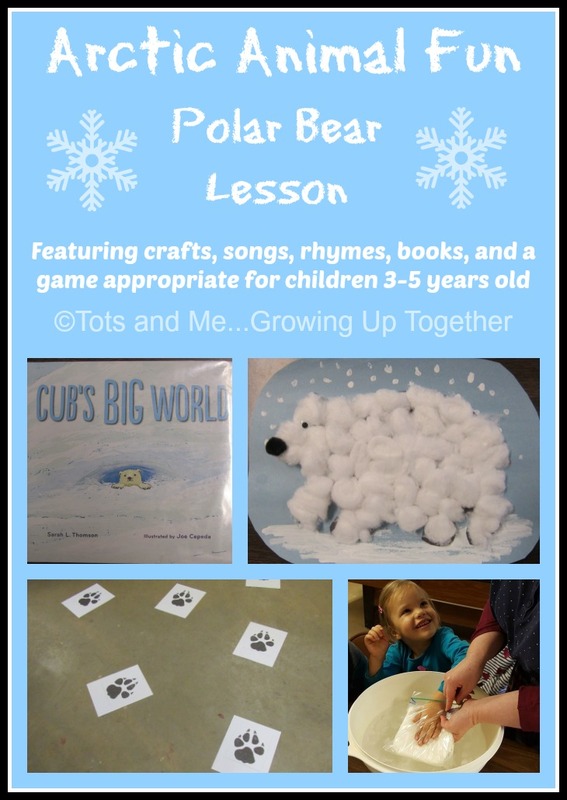 We are continuing our Arctic Fun unit in the Pre-K class at our homeschool co-op. 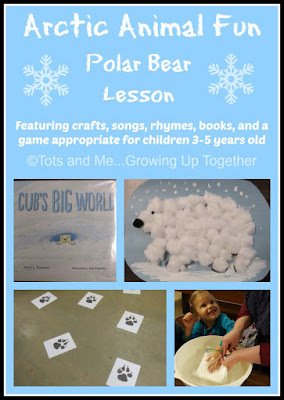 The first week we learned about polar bears and how they keep warm. 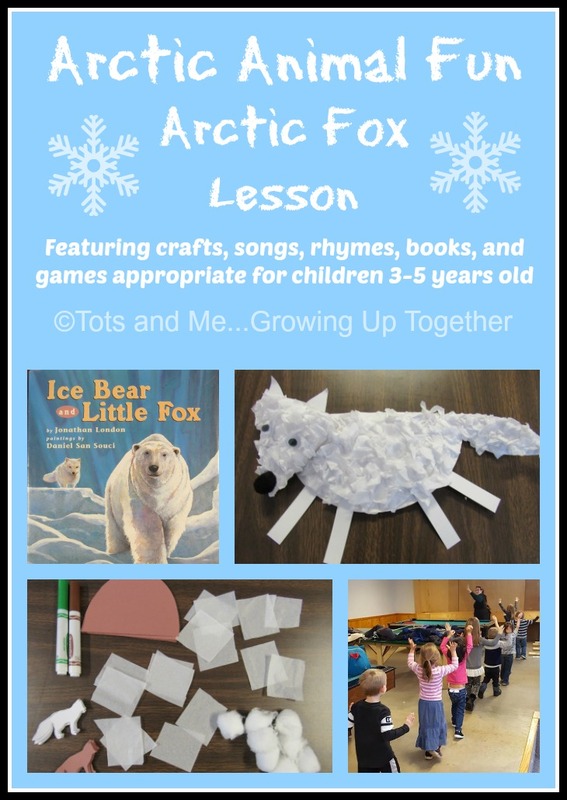 The second week we learned about the arctic fox and camouflage. The third week, we learned about the walrus, and discussed sinking and floating. 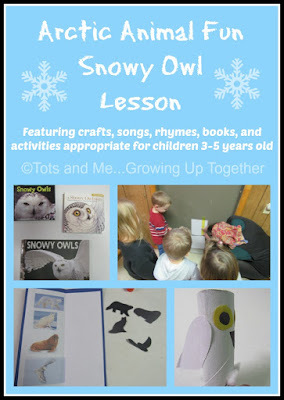 The fourth week, we learned about the snowy owl and talked about their super eyesight and hearing. I have been sharing my Pre-K unit posts on Fridays this month. 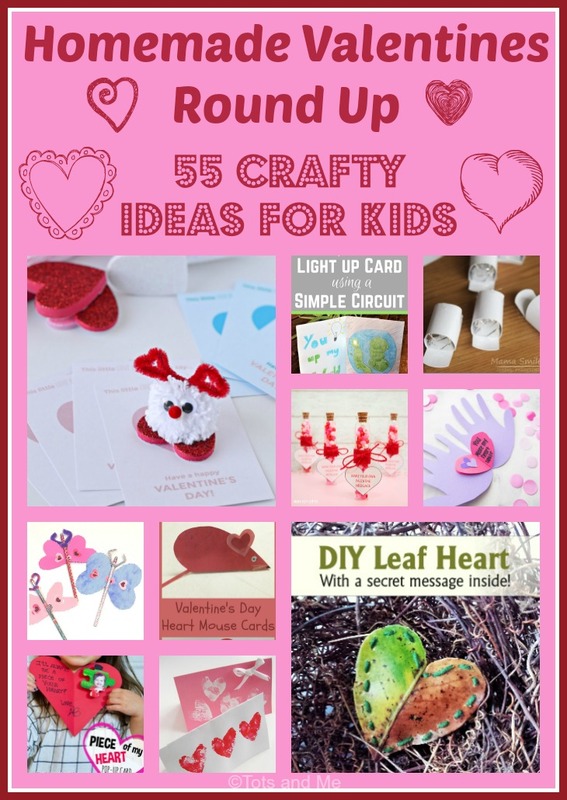 However, it is on Tuesdays that I have been sharing the craft that we made. I had a difficult time deciding what our topic would be for the fifth week of this unit. 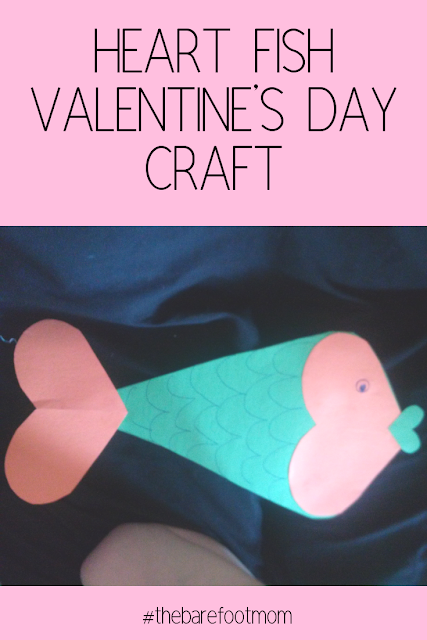 Originally I was going to do a narwhal craft. 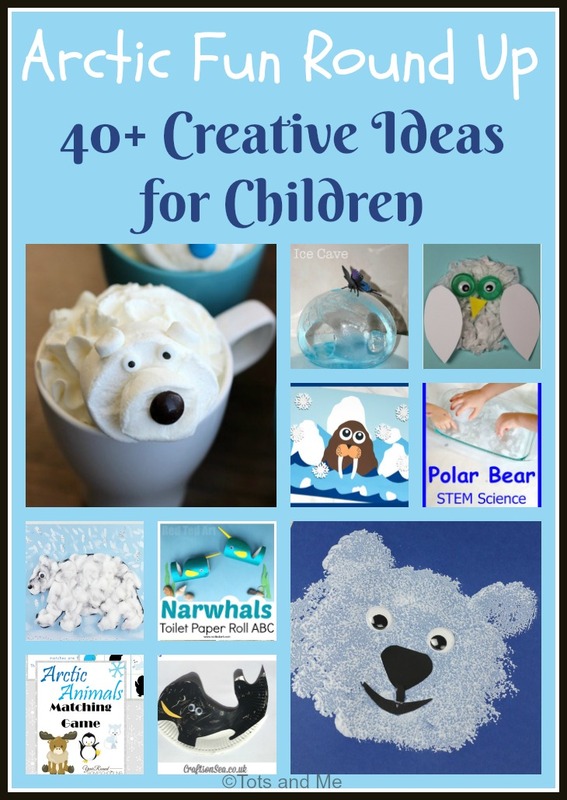 But I couldn't find enough engaging children's books about the narwhal. 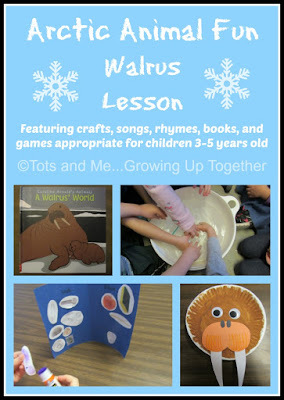 Then I wanted to do the beluga whale, but I couldn't really come up with a craft, though I had a decent amount of books. 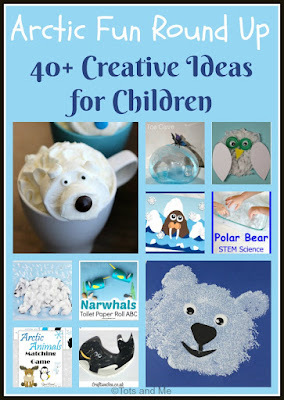 Then I thought of the orca, because I did have a craft idea, and tons of books, but then I realized, though the orca preys on arctic sea life, it is not found just in the arctic. So, three whales, but how to choose. 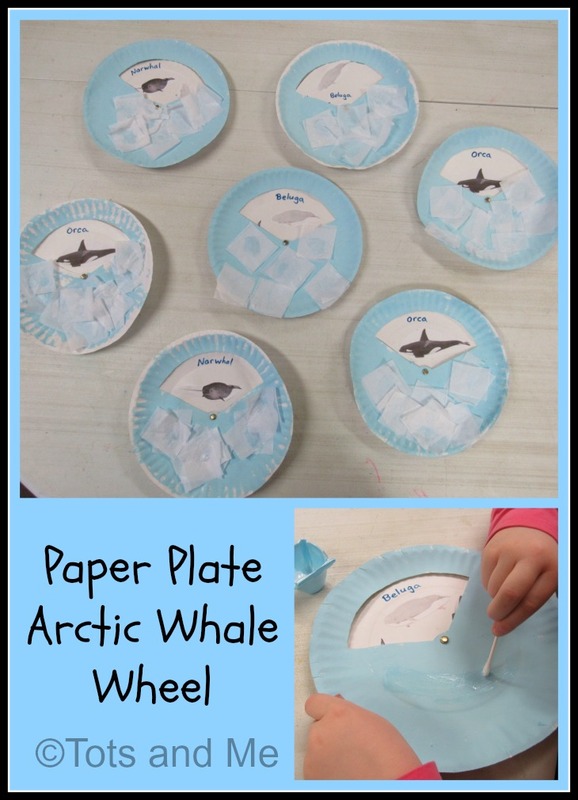 So, I decided to make the Paper Plate Arctic Whale Wheel to feature all three. And when you spin the wheel, it looks like the narwhal and the beluga are fleeing from the orca, which is a good thing, because the orca will eat them. In preparation I cut a wedge shaped window in half of the paper plates we would be using. It is approximately 1/3 of the paper plate and is cut below the ridged edge, but it does not come to a point in the middle, I left a bump for the paper fastener. Then I trimmed the other plates by approximately 3/4 of an inch. This was to make it easier to grasp the edge in order to spin it. Then I used a sharp knife to punch small holes in the middle of the plates. I then found pictures of the whales online, put them into my word processing program, and shrunk them to size. Finally, I printed them and cut them out. We started by painting the paper plate with the window light blue. I took white paint and added just a dab of blue. Then they used the cotton balls attached to clothespins to apply the paint. I do love this as an alternative to paint brushes. And egg cartons make wonderful paint holders. We set those aside to dry, and then we used glue sticks to attach the whales to the other paper plates. I instructed the children to make sure the whales' bellies faced the hole in the center of the plate. While the children were in their gym class, I attached the top, painted plate to the bottom plate with the pictures. When the children returned, we finished the project by gluing the tissue paper ice to the arctic sea. I gave them each a cup of an egg carton which I poured a bit of glue into, and they used cotton swabs to apply it to the paper plate. We layered the tissue paper, so it would show up better. 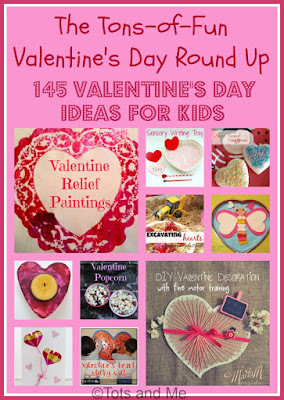 Make sure to spin them counterclockwise to watch the narwhal and beluga whales swim away from the orca. The Crew year has begun! I have four reviews due in February. We have been listening to the newest Heirloom Audio Adventures release titled, For the Temple. That review will post later this week. Three of the children have been using the IXL Learning site, which we have a year membership to. We have also been reading the newest books in the Secret of the Hidden Scrolls series. 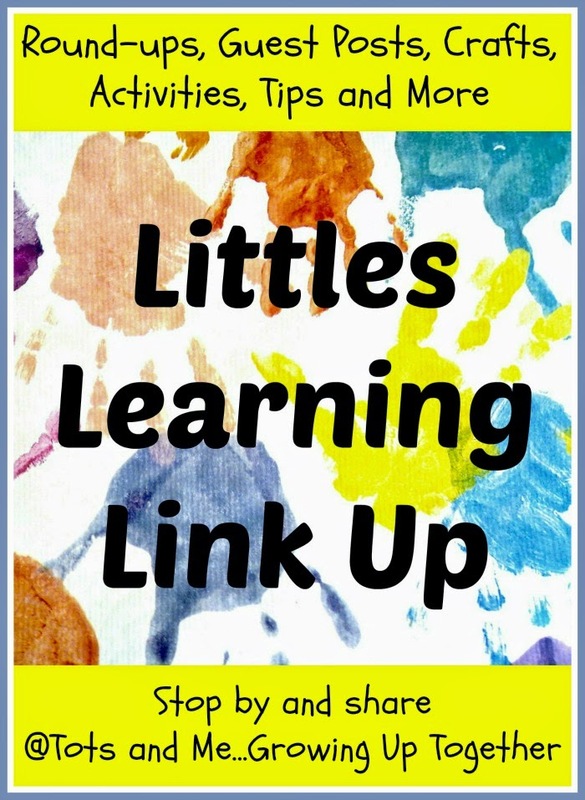 We reviewed the first two books a year or so ago. And I have been working with Harold on math using Singapore's Dimensions Math. 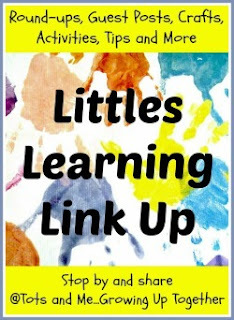 On my last Littles Learning Link Up post, there was only one wonderful post linked up. Sadly, that is what happens when I am late posting. I'm sorry I fell behind last week. 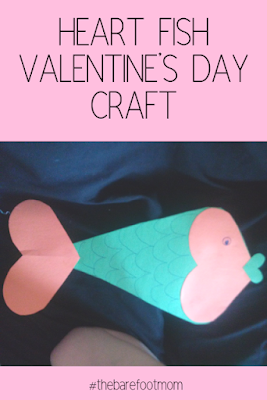 Brandy from The Barefoot Mom shared Heart Fish Valentine's Day Craft.